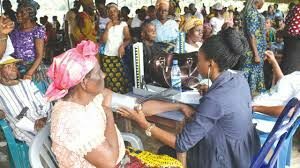 Oyo government commences free health mission Monday – Royal Times of Nigeria. 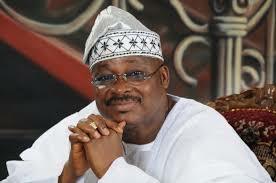 The Oyo State government has announced that another series of Governor Abiola Ajimobi Free Health Mission will start today, the fifteenth of May, 2017 at the Adeoyo Maternity Teaching hospital, Yemetu Ibadan as part of the events commemorating the sixth anniversary of the Abiola Ajimobi Administration in Oyo State. The free Health Mission, which involves free surgical services, screening and treatment of high blood pressure, diabetics, malaria, family planning, HIV screening, immunization and vitamin A for children under one year, will hold across the six geo-political zones of the state. The State Commissioner for Information, Culture and Tourism, Mr Toye Arulogun made this known at the weekend, adding that the programme was borne out of the present administration’s concern for the well-being of the people of the State as well as to provide qualitative healthcare delivery. Arulogun added that the present administration has used its free medical services policy to treat up to one million patients in the past. The Commissioner noted that Governor Ajimobi will also unveil the recently donated two million dollars’ worth of medical equipment which arrived recently from the United States of America at the Cardiovascular Center of the State Hospital, Adeoyo, Ibadan.